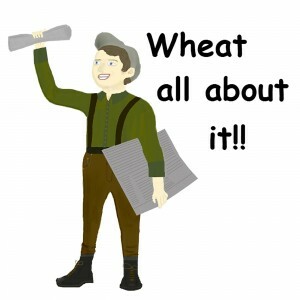 Episode 88 of Wheat All About It! features USDA-ARS, Craig Morris, Director of the Western Wheat Quality Lab. Join Scott Yates, director of Communications and producer relations for the Washington Grain Commission in, Fascinating Things: A Conversation with Craig Morris, Director of the Western Wheat Quality Lab. In this episode, Scott and Craig discuss how wheat varieties differ in taste, if soft durum will change the pasta industry, how goatgrass is important to wheat development, and more. For more information about the Western Wheat Quality lab, view the Grain Quality Resources page on the Wheat and Small Grains website. Find this podcast on your smartphone podcast app, simply download and open the app and search “Wheat All About It”. You can also get the podcast at the Washington Grain Commission website or by subscribing on iTunes or your favorite podcasting app. For those of you with slower internet speeds at home, think ahead and download episodes when you have strong cell service (four bars is fast) or anywhere Wi-Fi is available, and listen to the episode later in your truck, tractor, or easy chair. For questions or comments, contact Scott Yates at syates@wagrains.org.